Do Your Tennis Courts Simulate Real Grass Surfaces? 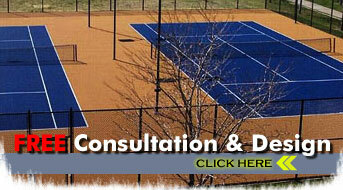 We offer residents of Atlanta, Georgia tennis court construction carried out by experienced professionals. The end result at your home or business will be a practice court that looks and performs like the finest real grass tennis surfaces. Our high-quality sports surfaces are ideal for your home or backyard, and we proudly offer design, installation and repair of residential or commercial courts for our local customers. We are excited at the opportunity to help tennis enthusiasts bring the game they love home with them. Our professional builders have the experience needed to build and install the personal tennis court of your dreams. We offer residents of Atlanta indoor tennis courts as well as outdoor, depending on their needs. Whichever type of court you choose, you can rest assured it will be made from high-quality materials and constructed and installed by professional and experienced builders. Experience the look and feel of real grass with products that are designed to simulate the grass courts that professional tennis players enjoy. A tennis court in your home or backyard not only adds value but also a lot of fun to your life! And with an indoor court, you can enjoy the game you love year round regardless of the weather. Construction and installation is available for both commercial and residential applications.Bring a Southwest Greens tennis court home today. Our courts look and play like real grass, whether indoors or out. 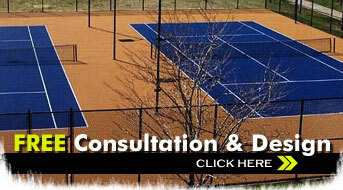 We also offer tennis court repair and resurfacing. Learn how easy your construction can be for your custom court.